Known for its vibrant local economy and strong cultural influence, Seattle offers many things for its residents to see and do. From its picturesque landscapes to its amazing farmer's markets, there is never a shortage of local attractions to experience. At Bogden Movers, we have indulged in the best that Seattle has to offer. 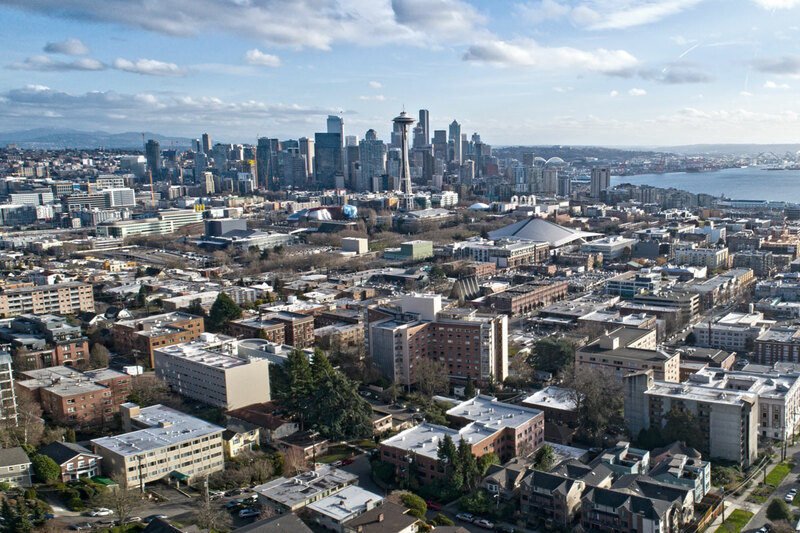 Here is our pick for the top 6 benefits of living in Seattle. 1. Seattle offers various transportation types to help its residents navigate through the city. If driving is not your thing, there is no need to worry when you live in Seattle. Although the Emerald City is known for its walkability, you can ride the light-rail system, monorail, bus, streetcar, ferry or catch a cab to get to your desired destination. 2. There are tons of markets with fresh local produce. Popular outdoor farmer’s markets in Seattle include West Seattle Farmer’s Market, Lake City Farmer’s Market and Capitol Hill Farmer’s market. At these outdoor extravaganzas, you will find seasonal fruits, vegetables, baked goods and fresh flowers. If you are new to Seattle, attending your local farmer’s market is an ideal way to meet new friends and business connections. 3. Seattle has a thriving job market. With an unemployment rate that is much lower than the national rate, you can expect to find a well-paying position in various industries including maritime, biotech, health care, shipping, manufacturing, and technology. Major corporations that are headquartered in Seattle include Microsoft, Starbucks, Zillow and Amazon. 4. Seattle is regarded as one of the best places to live. The U.S. News and World Reports magazine ranked Seattle as the 6th best place to live in the United States. The reason it received this designation is because of its proximity to nature, energetic nightlife, and thriving job market. 5. Seattle is known as one of the smartest cities in the United States. Over half of the city’s population has a bachelor’s degree, and the majority of Seattle’s residents have graduated from high school. Seattle is home to top universities including University of Washington, Seattle Pacific University, North Seattle College and Seattle University School of Law. 6. Seattle has lots of coffee shops. With 843 coffee shops per capita, Seattle has a coffee shop practically on every corner. From independent shops to large national chains, you can sample a variety of delicious coffee drinks at any time during the day. If you are planning to relocate to Seattle and experience its benefits for yourself, we can help. Our reliable moving crew can safely transport your possessions to your new home in the Emerald City.